A Supreme Court justice has ordered staff at the Hyatt Coolum to be paid their wages for the past two weeks. Resort owner, Queensland mining magnate Clive Palmer, sacked the global hotel chain from managing the luxury golf resort, claiming the Hyatt had failed to properly manage the resort. A bank account with $1.2 million for wages has been frozen by administrators, since an emergency court injunction was granted last month to stop Mr Palmer from sacking the Hyatt group. Justice Ros Atkinson today ordered staff be paid their wages for the past two weeks but no further ruling was made about future payments. The Daily broke the story today that staff at the Hyatt had not been paid. The Hyatt notified the five-star resort's 650 employees yesterday that they would not be paid today because of administrative issues. Staff members have, in the past fortnight, gone from being promised by Mr Palmer individual $500 bonuses, to not knowing where their next pay cheques are coming from. In a statement issued at 8.11pm last night, the Hyatt claimed that the voluntary administrator, KordaMentha, had not agreed to the payment of the employee payroll. "Hyatt of Australia Limited (Hyatt), the manager of the Resort, has given the voluntary administrators until 9 am tomorrow (Wednesday, 7 March 2012) to agree to the payment, failing which Hyatt will seek orders from the Supreme Court in Brisbane tomorrow morning to make these payments in the interests of the Resort employees," the statement said. A spokesman for KordaMentha had earlier stated that under the terms of a temporary injunction awarded to the Hyatt in the Supreme Court, it could not operate the bank account or direct staff. "In view of the court order currently in force, KordaMentha says it is appropriate that Hyatt or the court make the decision on the payment of wages," he said. 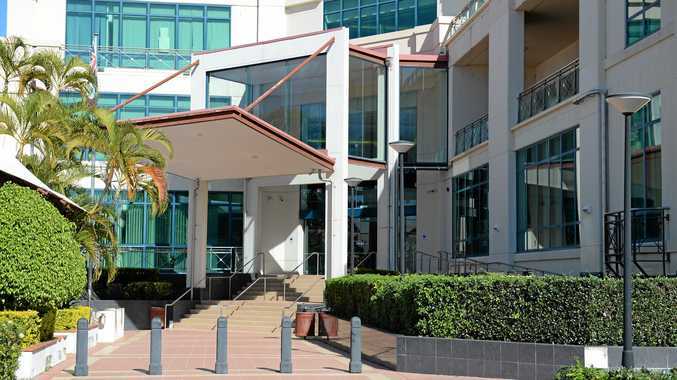 In another twist, there was still no decision yesterday in the Supreme Court action taken by hotel group Hyatt to protect it from being sacked as manager of the Hyatt Regency Coolum Golf Resort and Spa. Judge Ros Atkinson concluded a two-day hearing on Friday but is still to hand down her decision. Her deliberations have been presumably distracted by her hearing this week of the bid by Bob Katter's Australian Party to have its full title included on ballot papers for the upcoming state election. Judge Atkinson's ruling in the Hyatt matter will be an important decision in terms of the legal standing of administrators appointed to direct the affairs of companies. Normally a company goes into administration because it can not pay its bills. The changed status causes all standing contracts to lose their effect. Mr Palmer attempted to sack Hyatt as manager on February 21, citing a range of concerns he had about treatment of staff and the Hyatt's failure to run the resort at a profit. Hyatt successfully sought a temporary injunction, the continuance of which was debated before Judge Atkinson last Thursday and Friday. On February 29, the day before the matter went before the Supreme Court, Mr Palmer removed himself as a director and placed the resort's owner and operating companies Coolum Resort Pty Limited and Coeur de Lion Investments Pty Limited in voluntary administration. Korda Mentha was appointed administrator, a move that in normal circumstance would have seen Hyatt hand over the books and move out. However because of the injunction in place that has not occurred. If Judge Atkinson dismisses the Hyatt's application that it be retained, the resort management company would immediately move out of any role at the resort. In that outcome Mr Palmer would be likely to step in with sufficient funds to satisfy the court or the creditors that the two companies could be removed from administration. Sources say that if the application is upheld and Hyatt is allowed to remain as manager it would result in a messy administration. Such a judgement may be accompanied by orders for the Hyatt to hand over all documents necessary for KordaMentha to fulfil its obligations. Either way it is highly unlikely the Hyatt has a future at the resort. No longer with Mr Palmer's cash to cover existing creditors, if allowed to stay on as manager it would be left to either stump up the difference between revenue and operational costs or let the business end up in liquidation. More likely there would be some sort of settlement between the parties which would see the Hyatt out and allow Mr Palmer to get on with a promised rejuvenation of the resort and a new incentive-based relationship with staff. Judge Atkinson last Friday ordered an indefinite adjournment before the first creditors' meeting, which was due on March 14.